A stylish arrangement of warm winter tones with fresh seasonal blooms with assorted lush green leaves and foliage, a very striking design that has long lasting quality, in the asiatic lilies and native flowers. 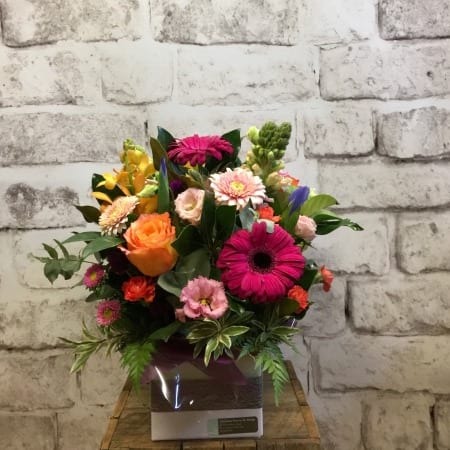 This arrangement will make an impact in any home, office, function room or hospital. A unique gift from Amaranthine Flowers By Design New Lambton, Newcastle.